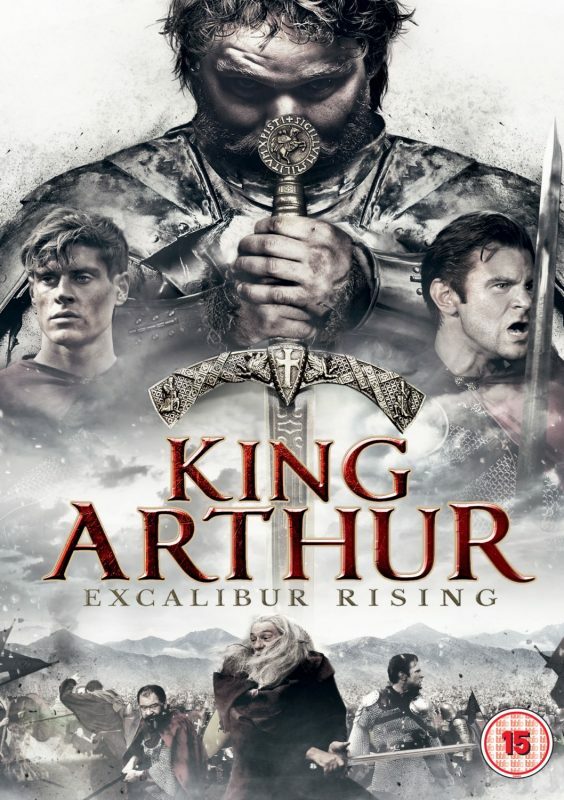 In the year 520AD, during the bloody battle of Camlann, King Arthur - aided by his legendary sword Excalibur - lands a fatal blow by his traitor son Mordred. Arthur’s dying wish to his loyal knight Sir Bedivere is to return Excalibur, the source of his powers, to the ‘Lady in the Lake’. Nineteen years later an older Sir Bedivere finds himself in jail after trying to free Arhur’s son, Owain, from the town guards when he is caught stealing from Lord Antonius. Unaware of his heritage Owain learns his true identity whilst imprisoned with Sir Bedivere. With his wicked brother Mordred falsely claiming to be the heir to the throne, Owain’s attempt to reveal the truth about the villainous leader see Owain thrown in to a lake and left for dead. However, his immortal powers see him wake free of wounds and dressed in regal garb with Excalibur by his side. Upon pulling the sword from the ground he is transformed in to a King. Will Owain fulfil his prophecy or will rage and greed provail when his murderous, hell-bent brother seeks out his own destiny?